Installation of a biomass plant, investing in biomass energy – Harewood House – to service the estate, heating commercial and residential buildings, as well as Harewood House itself. 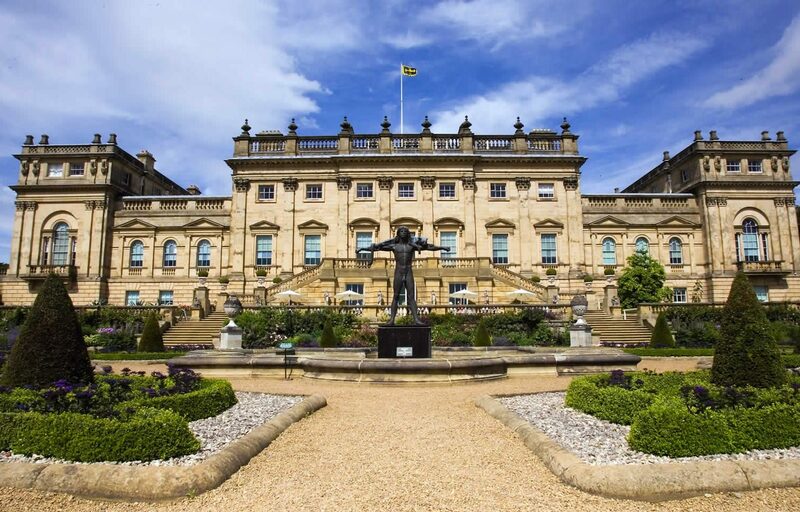 Harewood House and Estate is set in the heart of Yorkshire. The main house was built in the 18th century. Their main aim is to conserve Harewood House and its existing boundaries, together with historic buildings, landscape and parkland, in a sustainable manner for future generations through careful and appropriate management. The 540 kW KOB Pyrotech biomass boiler we installed is one of the largest in Yorkshire and will dramatically reduce Harewood’s fossil fuel consumption. In addition to this Harewood House are running a 350Kw Viessman Pyrtec. With 850 acres of forestry, Harewood Estate will be able to create up to 750 tonnes of dry wood chippings per year through efficient land management. The Estate also use tree thinnings to fuel the innovative heating system. In 2014, Harewood Estate invested £2 million pounds into a new energy-efficient biomass plant. The first phase of this project is now live and heating 30 buildings including commercial and residential properties saving 500 tonnes of CO2 per year. To put that into context, that’s the equivalent of a car driving more than 1.2 million miles or the burning of 540,000 pounds of coal. In this timelapse video from Harewood House The Biomass Boiler vans are visible from 4:00 onwards. The 500 kW KOB Pyrotech biomass boiler we installed is one of the largest in Yorkshire and will dramatically reduce Harewood’s fossil fuel consumption. With 850 acres of forestry, Harewood Estate will be able to create up to 750 tonnes of dry wood chippings per year through efficient land management. The Estate will use tree thinnings to fuel the innovative heating system. The final phase has now been completed, and the main House heating system is fully operational. We continue to provide regular maintenance and service this boiler whilst providing continued support. To discuss your own requirements, call our knowledgeable team on 01289 305455 or fill in our contact form.